My Name is Debbie Keehart. I have been a sponsored competitive shooter for over 20 years and a firearms instructor for over 12. I have had the good fortune to learn and work with the best in the industry so I can confidently say that Eva Subido is an outstanding instructor. I’ve worked side by side with her and witnessed her teaching skills firsthand. I have no reservations when inviting her to help me with training events. I know I can leave my students in Eva’s hands to give them the best instruction and share with them the best shooting techniques and skills available. I highly recommend Eva Subido as a firearm’s instructor for both men and women. And I don’t give that kind of recommendation easily; so know you will be in good hands with Eva! I never saw myself as a gun owner, but taking Eva's class changed my mind and my attitude. I was extremely nervous about holding a real loaded gun, and petrified of firing a gun, but Eva was very supportive and helped me push through the nerves. I went to the class with doubts that I would ever buy a gun, but I felt so much more confident after the class that I went to target practice the next weekend and bought my first gun. I'm very glad my first experience with firearms was at a Ladies First class. It made all the difference! Thanks Eva! Note from Eva: Jennifer not only bought a gun she thought she would never own, but 2 weeks later she joined me in a casual competition, had a great time, and learned more gun skills. Bravo to "Braveheart" ... what a transition in 2 weeks. Awesome! Taking Eva Subido's Basic Pistol Shooting was a joy. Eva is very safe and knowledgeable yet patient when working with people. Her teaching technique makes people much more comfortable than other firearm training I have been to. I would recommend this class to anyone wanting to start shooting, learning about basic pistol marksmanship or someone like me who used to shoot years ago. Eva's class was fun for both my myself and my wife to take. Both of us are looking forward to taking more classes with her. I signed up for Eva’s course based on a local vendor recommendation; I wanted to refresh basic firearm safety knowledge and learn fundamental handgun techniques. I was extremely pleased with the overall experience, it went way beyond my expectations and I’m left wanting to learn more and able to practice more effectively. Eva is a walking encyclopedia of academic and practical knowledge on all sorts of related topics. Right out of the gate she emphasized safety, then did so repeatedly throughout the session in various practical ways to hammer the points home. We were fortunate to have a very small class, great for us since we got additional attention and got to try a wide variety of hardware. Eva’s confidence is contagious – yet she’s not arrogant or pushy, does not hint at any sort of political agenda, nor does she demean anyone in the process of pointing out mistakes, ways to improve technique, and more. I was especially impressed with how she worked with a participant who had never fired a gun before, slowly building confidence and basic skills in very short order. Eva’s patience, methodical yet fun approach and command of both the information and the experience really helped slow everything down, creating a perfect environment for learning these skills. This was by far the best bang for the buck (pun intended) I’ve received via an instructional course. Thank you Eva! You made the time and gave the effort to get me into your class and I wanted to take the time and make the effort to let you know how great my experience was. Thank you so much. Before the class, I knew so little it was hard to even ask questions or know where to begin but you jumped right in with the certainty we would all know what we were doing by the end of the day. Your confidence was contagious. I never like to admit to myself or anyone else when something intimidates me but guns intimidated me and I never seemed to find the right time, place, or instructors to help me get past that. Your clear instructions, simple and practical explanations, and constant encouragement were apparently all I needed! You stood next to me on the range and talked me through my over-analyzing and sweaty palms and before I knew it, I was shooting safely and having a great time. Your class was just what I needed and I can't wait to talk another course or find another way to get more practice in. The zombie apocalypse will be here before we know it, and I'm that much closer to being ready. I feel more hopeful about my survival chances and hope we'll be on the same side! HI EVA, I JUST WANTED TO THANK YOU FOR TAKING THE EXTRA TIME WITH A COURSE OF ONE ON ONE. AS I TOLD YOU I HAVE CEREBRAL PALSY AND NEED EXTRA HELP TO USE A SEMI- AUTOMATIC HANDGUN. BEING THAT I DIDN’T HAVE THE STRENGTH IN MY LEFT HAND TO CHAMBER A ROUND, YOU SHOWED ME SOME DIFFERENT WAYS OF HOLDING THE GUN TO MAKE IT EASIER TO PULL BACK ON THE SLIDE TO CHAMBER A ROUND, YOU SUPPLIED THE HAND GUNS, BECAUSE OF MY DISABILITY THAT WORKED OUT WELL. IT GAVE ME THE OPPORTUNITY TO TRY DIFFERENT HANDGUNS TO SEE WHICH ONE I LIKED THE BEST PLUS I GOT A LOT OF TARGET PRACTICE, SOME MODELS WERE HARDER TO CHAMBER A ROUND THEN OTHERS. THIS WAS NICE TO KNOW WHEN I WENT TO BUY A HANDGUN. THANKS FOR ALL YOUR HELP. My daughter and I were able to attend a class taught by Eva and Elias--it was one of the best Saturdays ever! Time and again, over and over they emphasized the safety rules until they become part of your actions every time you pick up a weapon. Then to reinforce those concepts even more, they consistently follow those practices drawing our attention to their actions so we are mindful of them as well. We both came with a bit of trepidation, but with the patience and repeated efforts of both Eva and Elias, we came away with a confidence and desire to learn and practice even more. They gave us the one-on-one time necessary to show us how to load, hold, and fire with no pressure to rush or simply slide by--do it, do it right, do it again! We now have a respect for handguns that we didn't have previously, but also a measure of comfort in knowing how to safely and effectively wield them. Thank you so much for all your time and effort, Eva and Elias!! I can’t tell you enough how much I enjoyed your Firearms Safety and Basic Pistol Course. You provided a safe and comfortable learning environment. For someone who has very little experience with guns, half the challenge was getting past the intimidation factor. Your confidence in gun handling, and your knowledge of guns and gun safety definitely helped put me at ease. Thanks again for teaching me the basics. I enjoyed it so much, it sparked an interest in learning more advanced skills. I look forward to participating in another one of your courses. When I decided I wanted to learn to shoot, there was never a question that I would take a safety course first. Keep in mind, I had never used a firearm before. I specifically wanted a female instructor – one who was considered an expert. I searched online and found Eva's course. It was the best thing I could ever have done. The all day safety course covered everything from safety and gun ownership to excellent shooting techniques. I got to shoot a variety of guns and came away confident that I had a strong foundation on which to build my skills. She also provided information on legal issues and how to get a concealed carry permit. Leave it to me . . . after purchasing my own gun, my shooting ability took a nosedive. Of course, Eva was the first person I contacted. We spent another few hours out on the range, and she was able to see what I was doing wrong. I had purchased a small gun, the sites were harder to see, and the way I was holding it hurt my hand. With some modifications, my shooting improved dramatically! Thank you, Eva! Eva is an excellent instructor. She listens, is totally there to help and is always encouraging. If you have an interest in guns, I strongly recommend her Ladies First Safety Training! My husband and I are visiting in Tucson from Montana. Because he is very skilled with firearms and because of my desire to learn about using a hand gun, I learned some good basics from him; however, we decided that I needed an outside objective expert to work with me to help me with the step-by-step method of safely handling and shooting a firearm. Eva Subido was highly recommended and after taking her course, I truly understand why she rates so highly as a firearms instructor. I enrolled in an individual course -- three hours of hands-on instruction. From the moment I met her, I knew that my time with her would be worthwhile. She is an ace when it comes to knowledge of every aspect of gun safety and use of firearms, but she augments her skill with an awesome ability to teach -- she is firm about what she is teaching but she imparts her instruction in a most personable, friendly and honest way -- she put me at ease right away and I overcame my lack of self-confidence about handling a gun. The session was rewarding and fun -- she presented me with a Certificate of Completion of Firearms and Basic Pistol Course. Since then I have found that my desire to practice and improve has no limit. I plan to take a follow-up class with her after I have practiced my target shooting for about a month. I know that she will again be invaluable in helping me fine tune what she has already taught. As you can see, I have nothing but praise and kudos for Eva and her Ladies First Safety Training. Upon buying a firearm for personal protection, I knew it was essential that I have training, and Eva with Ladies first came highly recommended. I will admit I was extremely nervous, but I made the call and set up my training. I can not tell you how glad I am (that) I did! I walked away with confidence, and the security, that I was trained with the most important fundamentals in handling my firearm, and to Eva, the basics are key. She was patient, and very thorough. I recommend anyone new to this, or even someone that just needs a refresher in gun handling and safety. Looking forward to ongoing training with Eva in my near future. This training has been extremely valuable to me. I had very little previous experience with a revolver and no experience with a semi-automatic. Eva came highly recommended by the store where I was shopping for a weapon and I took her pistol safety course before deciding which gun to buy. I would not have had the confidence to purchase a semi- automatic had I not taken her course. Now with the monthly practices my skills are getting honed in without picking up beginners mistakes or bad habits. Corrections are given after each drill as well as encouraging feedback. Eva has helped me every step of the way from getting gear to assigning "homework" for improvement. Above all I feel that I have learned excellent safety practices so I am confident in handling my weapon. Thank you Eva I feel so fortune to have found such a knowledgeable and enthusiastic instructor. I recently enjoyed a class with Eva and her instructors, Debbie and Jaime, for the Ladies First Safety Training . I couldn't have been more impressed with the instruction and one-on-one that I and the others in my class received that day. Eva was recommended by Sportsman's Warehouse and after mulling it over for a week or so, I decided to contact her about the course. She was more than gracious in answering all of my questions and there were quite a few as I hadn't the first clue about guns, not having shot one in about 30 years (and that's all I did was aim at a target, didn't load the gun, clean the gun, nothing --- it was all done for me). I was a little more than nervous about signing up for the class as it came closer to the day but shortly after the class started, the nervousness disappeared. First and utmost, safety was stressed, over and over and over as the class went on. She would talk to us about the guns, showed us guns, went over the parts of the guns, the seriousness of a firearm, and of course, the actual instruction and practice of shooting the guns all the while still stressing safety, safety, safety. I felt very comfortable after the class and know I will continue to practice and familiarize myself with handling a gun and in doing so, I will continue to remember what I learned in this course because of the practical way it was taught. I can't say enough about this course and would recommend this to anyone that, like me, hadn't a clue about handling a gun and the fundamentals of actually shooting one. It was time more than well spent. Eva's safety training course exceeded my expectations by covering in detail all of the areas of concern: range procedure and safety, weapon handling and nomenclature, basic ownership responsibilities, legal sources, AND firing. Firing, of course, hit the mark! Thank-you, Eva, for a wonderful, empowering experience. Icing on the cake? I had a blast! I will recommend your courses to anyone who will listen! My wife and I feel that this class was a great value to us as we knew very little about hand guns. We saw and shot several different types and asked many questions, they answered all without hesitation and always strived to keep us safety aware. We feel it was worth the time and cost as the instructors always had the time to help us, it didn't feel to us it was just a job for them. They displayed great energy and knowledge, now we have a good idea which type of handgun we would choose. - William & Janice Reben Tucson, Az. I was impressed with the professionalism and more importantly the patience that Eva and her team demonstrated. The class was made up all women except me. There were some ladies that had obvious previous weapons experience and some who had not ever been exposed to handguns. Eva and her team went with the “there is never a dumb question" method of working with our class. Eva further explained that since we are working with firearms, there is no room for error on her part or ours. By the afternoon, we all felt comfortable and ready to apply what we had gone over in the classroom. The instructors spent time with each class member making sure that both safety rules and methods of use were clear and each class member was capable of using the handgun given them to use. The class was well worth the time and I feel it is a very important aspect of safe gun ownership to attend a safety class before using a handgun for sport. As a young single mother who has always been interested in handguns but was extremely cautious due having a little one. I finally signed up for Eva's basic course and I couldn't of been more thrilled. The anxiety and worry of having a handgun in the house, was the least of my concerns when I finished Eva's course. I left knowing more than I actually intended, from handguns I preferred to basic safety steps to the parts of a handgun. Eva was very thorough in everything she taught, spending time with each individual until she was satisfied they could move on. Being a young woman it was important for me to have the right knowledge and confidence in this field. Eva taught me the confidence, knowledge, safety, and basic skills I needed to acquire about handguns. Eva also gave me the desire to be proficient in the skill of shooting and I could not of been more grateful! Thank you so much EVA! I was looking for basic pistol training instruction when I was referred to Eva Subido of Ladies First Safety Training by the president of the Sun City Gun Club. I enrolled in her basic safety and training class; WOW Did I learn a lot! I had a great time learning about gun safety, learning how to become a better shooter and last but not least, I had a great time shooting! Eva proficiently taught me gun safety, range etiquette, proper stance, grip and targeting. She is extremely motivating and very knowledgeable about various firearms safety and operation; safety being her core objective. I would encourage anyone that is interested in learning safety and gunmanship to take her outstanding class! I have always been terrified of guns. Really terrified. However, after moving to Arizona I have absolutely acknowledged a need to learn how to protect myself. Eva Subido is a gifted teacher, passionate about gun safety, and methodical in her training. I left her course with a great respect for guns, but no fear. I actually had a great time shooting and learning how to become a better shooter. I will continue to improve my shooting skills and will soon be purchasing a pistol. Eva Subido's course is the best and I recommend that all women participate in her course and learn basic firearm safety and pistol shooting skills. After a referral from Sportsman's Warehouse, I contacted Eva about her basic pistol safety course. I could not be happier after my experience. Eva was very professional, and well organized. Eva discussed gun safety, range etiquette, and explained to me in a very easy to understand manner all the questions I had. After a very comprehensive tutorial session, including gun safety, handling and loading, she led me through the posture and aiming process, and we shot targets with my Beretta and Colt revolver. I even had some good shots! We finished with gun cleaning and care. I would highly recommend Eva and her course to anyone wishing to learn to shoot pistols safely and accurately! I can only begin to tell you how wonderful Eva is and how great her class was. You would really have to take it and see for yourself! My daughter and I took this class together. The first part of the class is the information part. I was not very familiar with guns at all, so I gained a lot of knowledge with this class. Eva taught us all about guns. We had many questions, but Eva took the time to answer them all. This helped lessen my fear of guns and taught me more respect for them. Then we moved to the “hands on” part of the class, which I thoroughly enjoyed. I have a disability with both my arms and shoulders, but Eva took on the challenge. She took extra time in helping to find the right type of gun that I could handle and showed me ways of getting around my disability to be able to hold and shoot a gun so I could hit the target. I would recommend Eva and this class to anyone who wants to gain knowledge of guns and learn how to shoot properly and accurately. Thank you Eva, for everything! I am a college student planning on going into the criminal justice system in the future. I was recommended to take Eva’s class from one of my Professor’s. I’m glad I did take her class! Eva was such a pleasure to be around! This is the perfect class to take for someone who wants to learn about guns or someone who has basic knowledge of guns. I took this class with my mom, who has a disability with her shoulders and therefore, she cannot hold a gun straight out in front of her (let alone raise her arms straight in front of her). She also has problems dealing with the kickback after firing a weapon. Eva made her feel so comfortable. She took the time out just to spend with my mom (and myself) to show her the different positions she could shoot in without hurting her shoulders. Eva also showed my mom what gun would work well for her—so that it could be lightweight for her to hold. Before doing the hands on learning at the firing range, we had learned all the parts to the gun and the safety steps used in handling a gun. Because we are beginners, my mom and I asked so many questions, but Eva had no problem answering them. She didn’t make us feel like we didn’t know anything. Obviously, all of this helped a great deal at the range. My favorite part was learning how to aim. I found out that I had been aiming wrong at previous firing ranges. Eva gave me the confidence I needed to aim right. I even hit the bull’s eye twice—through and through when we went to the range! Eva was amazing! I would definitely recommend her and this class to anyone who wants to gain more knowledge on weapons! She went the extra mile to ensure that we were comfortable and she took extra time with us so we were doing everything right! I’ve already recommended Eva to other people, including my brother—who plans on taking this class in the future because that’s how incredible this experience was! I certainly hope to be taking more firearm classes with Eva in the future! And I’m hoping that in the future, when I go to purchase my first gun, she’ll be there to coach me through buying the right weapon! Thanks so much Eva! I look forward to seeing you in the future! I wanted to write and thank you for referring me to Eva and Ladies First. I met with her for the first time on Saturday and am very pleased with the experience! My husband recently purchased a few handguns and has been very adamant that I should learn more about them. I was able to bring my own handguns along with me when I met with her for a private 3-hour session. She explained the mechanics of the firearms very thoroughly. When it came time to shoot, she was very patient with me as I got comfortable and was extremely motivating and supportive. I left the session feeling exponentially more confident with my personal firearms, which is invaluable! Eva is very gifted and knowledgeable. I know I can utilize her as a resource for any of my firearm safety needs! _ I am a 53 year old woman in poor health who has just been through Ladies First Safety Training’s, the NRA Basic Pistol Course, from Eva Subido. I just want to tell people how exciting and educational the course I took from Eva was. Eva’s thoroughness is unmatched. After taking her course I felt confident enough to purchase myself a new semi-automatic pistol from Sportsman’s Warehouse. Eva also does private classes and I spent 3 hours (training) learning everything there is to know about my individual gun, taking it apart and cleaning it, care of it, and shooting over 70+ rounds of ammunition. I feel like I’m confident in handling my new semi-automatic pistol and it’s all thanks to the course I took and training from Eva. She has an extensive background in firearms of all sorts and any of her courses is well worth every penny spent. Eva puts on a totally professional course and I cannot say enough good things about the training she provided me. I'm anxious to someday take a more advanced shooting course, but for now I can get my CCW, which was one of my goals. My husband and I are novices in handling pistols, and wanted an instructor that could teach the basics. Eva was the first name that was recommended to us by a man at Sportsman's Warehouse in Tucson, and we are very grateful for that information. We completed the Basic Pistol Course with Eva this week and could not be more pleased! She is highly skilled in handling guns and shooting, and is able to teach the basic skills to beginners with ease. Her communication skills and demonstrations made learning the basics enjoyable and helped us feel confident in handling handguns. We would highly recommend her Ladies First classes to both women and men. We look forward to taking additional classes from her. I'm a 68-year-old lady who raises exotic birds and lives alone in an area where predators (mountain lions, bobcats, coyotes, skunks, foxes, etc.) frequently appear. My brothers presented me with a Smith & Wesson 9mm pistol in the mid-80s. I hadn't fired that gun in the last 20 years so I was a danger to myself, my dogs, and others if I ever had to use it. Thanks to Eva I am now more confident that I could use that gun safely in an emergency. However, just to be sure, I'm going to continue to take Eva's classes until I am proficient Eva is a great instructor and I recommend her Ladies First Safety Training class to any lady who wants to be able to safely use a firearm. Thanks, Eva! "I first met Eva Subido while we were attending a "Use of Force" training class which was being put on by Massad Ayoob. I saw first hand on the firing line that Eva was one of the best shots in our class. She out-shot many of the men in the class placing 4th out of 27. I have given additional firearms training to Eva and was amazed at her skill level. She is one of the most accurate shooters that I know of in Cochise County. Eva is very methodical and organized in her training with excellent communication skills. I can without hesitation recommend her as a firearm instructor for the student who is looking to go beyond their concealed carry class." "I am 70 years old and have never had any instruction in how to handle a gun. Eva made the instruction not only simple to understand but made the entire course informative and fun. I was very comfortable in the company of women only which made the course relevant to the special needs that women have in handling guns. I intend to take additional courses to strengthen the skills that I achieved with the beginning course. I highly recommend all women no matter what their age to take this course." "I met Eva Subido when she came into my martial arts studio to learn Krav Maga. She is a vibrant and witty person who, I discovered in our conversations, shoots pistols in competition matches. I quickly came to respect her willingness to learn and how well she learned what she was taught; so much so, that I asked to go shooting with her. That was a mistake for my ego! Eva's knowledge and abilities, I realized, far exceeded those of this former Marine. She is an outstanding Teacher with the skills to back up what she talks about. Very safety conscious, Eva runs the class and the firing line as well as the old gunnery instructors in the Corps. Detailed and explicit, she is also very patient when teaching (vs. simply instructing) and can pinpoint the fault of the weapon or the shooter within a very short period of time. Humbled, but exhilarated by the experience with Eva, I have since gone shooting with her so she can teach me her skills with the pistol...I love every minute of it! Consequently, it is without any reservation whatsoever that I give my highest recommendations to Eva Subido as a Teacher of the handgun art...she is nothing less than superb!" 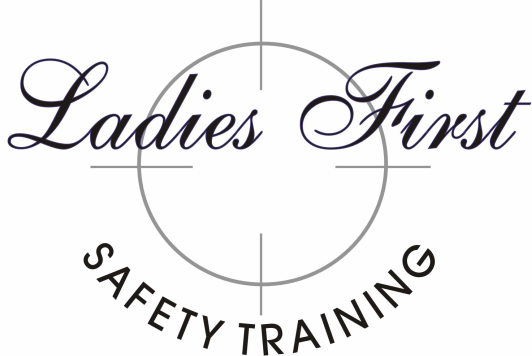 "I enjoyed Eva's Ladies First Safety Training class and am looking forward to attending other classes provided by Eva. Being a woman, I particularly liked attending a womens only class - I felt more at ease and comfortable. I highly recommend Ladies First!" I am a thirty year veteran police detective who has been involved in the shooting sports for the last forty years. I am an AZ POST certified police combat firearms instructor as well as an NRA certified firearms instructor. I currently am adjunct faculty at Pima Community College where Eva has been a guest speaker in one of my classes. Her obvious skill and knowledge of firearms and their use are surpassed only by her abilities as a teacher and lecturer. My class was spellbound by her presentation and she received the highest accolades of any guest in all five of my classes in the seven years that I have been teaching them. The only negative comment received was that she was not given more time. Eva will most certainly be invited back to my classroom and I intend to take her course. Even old dogs can learn new tricks from a teacher of Eva's caliber.